As the International Hot Rod Association prepares to enter the 2014 racing season, one thing remains clear – sportsman racing continues to be at the heart of the IHRA. While news on the professional front has dominated headlines over the past few weeks, the IHRA has been hard at work continuing to improve and elevate the sportsman programs that currently exist while also adding new programs and events to further enhance the racing experience for tens of thousands of racers around the world. Many of the most popular sportsman programs will return in 2014 including the Summit Racing Equipment Pro-Am Tour presented by Amsoil and Summit SuperSeries presented by Amsoil as the two series welcome a full plate of events in 2014. IHRA will also debut a new event in February at Dallas Raceway that will feature twin $5K races for No Box racers and a huge standalone Wild Card event for Summit Pro-Am racers at the Summer Nationals at Cordova Dragway Park in July. New IHRA President Scott Gardner and the IHRA staff are fully committed to sportsman racing and will continue to make the International Hot Rod Association the best sportsman racing series in motorsports. The Summit Pro-Am Tour presented by Amsoil will return as the premier sportsman program for IHRA touring racers. The 2014 Summit Pro-Am Tour will include more than 40 events across North America in six divisions. For the second year in a row all World Championships in IHRA’s premier classes of Top Sportsman, Top Dragster, Super Stock, Stock, Quick Rod, Super Rod and Hot Rod will run through the Summit Pro-Am Tour with the top three finishers in each division moving on to the Summit World Finals to compete for the World Championship in the Summit Racing Equipment Tournament of Champions. The top three finishers also earn a cash prize and are recognized at the IHRA Awards Celebration held each year in Memphis. Each division will feature multiple races within each region with most events featuring double race weekends. While most Summit Pro-Am Tour events are standalone competitions, others will be run in conjunction with the IHRA Nitro Jam Drag Racing Series including races at Bradenton Motorsports Park, Rockingham Dragway, Maryland International Raceway and the Grand Bend Motorplex. There will also be three Wild Card races in 2014 that will award in-division claims to all racers regardless of home division. Those races will be contested at Immokalee Regional Raceway (January 31-February 2), Memphis International Raceway (June 13-15) and Cordova Dragway Park (July 18-20). World championships, regional bragging rights and the battle to be the best in class are just part of what makes the Summit Pro-Am Tour one of the most popular series in IHRA competition today. 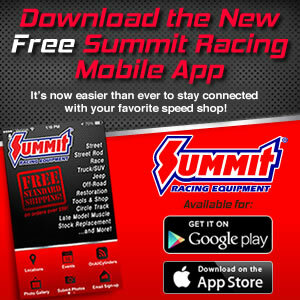 A brand new logo and a brand new attitude accompany the Summit SuperSeries presented by Amsoil into 2014. Since its inception in 2002, the Summit SuperSeries has grown into the nation’s preeminent program for grassroots bracket racers. Awarding a World Championship in Top ET, Mod ET and Junior Dragster, racers can compete at their local track throughout the season with little to no travel and be in the running for the biggest prize in the sport. Summit SuperSeries champions at their local tracks then move on to a regional competition at the Summit Team Finals for an opportunity to be one of 16 drivers in each class competing for the World Championship at the Summit World Finals in Memphis. The program is one of the fastest growing in drag racing thanks, in large part, to a generous prize package presented by Summit Racing Equipment, Amsoil and dozens of supporting companies. Check back with www.ihra.com for a complete list of prizes for the 2014 season including $10,000 from Summit Racing Equipment, a brand new turn-key dragster and Junior Dragster, vacation packages and more totaling more than $240,000. Providing the base for this program are the more than 100 IHRA member tracks around the world. This program is the Super Bowl for grassroots racers and the IHRA is thrilled to once again spotlight this series. The 2013 Summit Tournament of Champions held at Memphis International Raceway was one of the most exciting races in IHRA sportsman drag racing history. With the new rules restricting the field to only racers who finish in the top three in points on the Summit Pro-Am Tour, the 2013 TOC field was made up only of the best of the best in the sportsman drag racing world. Thanks to that format, the Summit Tournament of Champions has blossomed into the must-see IHRA race of the season. For the third year in a row the Summit Tournament of Champions will return to Memphis for the 2014 championship tournament to crown the best in the nation in all seven IHRA sportsman classes. A few new programs and races will take center stage in 2014 including a brand new twin $5K race at Dallas Raceway in February and a recently added Wild Card showdown at Cordova Dragway Park during the Summer Nationals in July. Other programs returning in 2014 include the DRM Ironman Classic, Perfect Package Prize, Teen Championship Racing and more! In addition, each IHRA Nitro Jam Drag Racing Series event will feature several great opportunities for racers of all levels to compete in front of jam-packed crowds on the national stage. Don’t miss a minute of the 2014 IHRA sportsman drag racing season with hundreds of events spanning more than 35 states and five countries around the world. For more information on the IHRA and all of its sportsman programs, visit www.ihra.com for complete details.